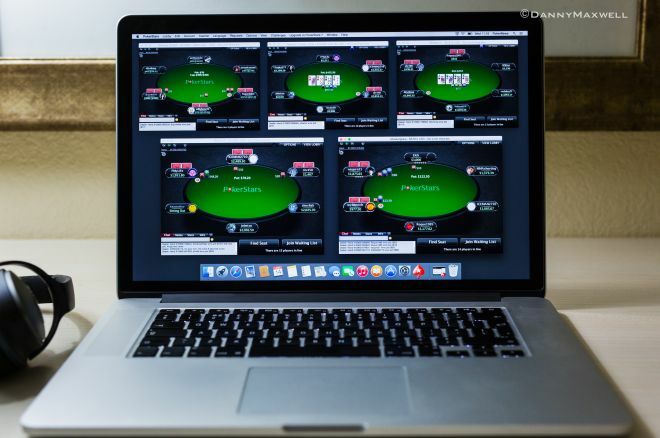 Six quick tips for those who want to know how to play online poker professionally. Be honest, how many of you reading this article have wanted to be an online poker pro at some point since discovering such a thing was possible? I know I have — and on more than one occasion. Being able to play poker for a living seems like the perfect job — for someone who loves poker at least. But it’s harder than you would like to believe. How to be an online poker pro? We have six quick poker tips for you to set you on your way to your dream job. How to become a professional online poker player in one easy step would be to quit your job and use poker as your sole source of income. While this instantly makes you a poker pro, it is not advised, not even a tiny amount, for reasons that we’ll cover shortly. Studying the game of poker is crucial if you want to learn how to succeed as a professional online poker player. When you think you have learned all there is to learn about poker, you need to study and research even more. In fact, you should never stop learning because standing still in this game means you’re going to be left behind. Read articles on PokerNews, check out the 10 most important poker strategy books ever written, join a training site, or hire a coach. Any edge you can create for yourself will eventually lead to profits. Remember how we said that handing in your notice and jumping straight into being a professional poker player isn’t a good idea? This is one of the main reasons why: you need to prove to yourself you know how to be a profitable online poker player first. Many people bag a big score in a tournament, or win the equivalent of two months’ wages at the cash tables and start thinking that this game is an easy way to make a living. Wrong! You need tens of thousands of cash game hands and tournaments (if not hundreds of thousands) to prove you’re a winning player. If you’re not a winning poker player over the long term, you’ll soon be heading back to your old boss cap-in-hand hoping to be reemployed. Once you’ve ascertained that you’re a winning poker player, it’s time to begin trying to figure out how many hands or tournament you’ll need to play in order at least to match your previous salary. Here’s where many people fail. When you have a salaried job, you are usually paid on the same date every month regardless of how productive your week or month is (within reason). You’re almost certainly paid while on vacation, or if you’re sick. Are you really going to sit grinding for 60 hours every week? The fact you have to go to work five days per week is probably enough to make you get out of bed and go to your job. But what if none of that was true? , and that may be possible. But make sure you factor in at least three full weeks “holiday.” You should also plan for being sick and unable to play for a couple of weeks per year. Also, ask yourself — are you really going to sit grinding for 60 hours every week? Do you think you can make enough money at $0.25/$0.50 to warrant giving up your job? How many online poker pros are there who wake up at 12:00 p.m., play online poker for two hours, and then swan off enjoying life to the max. The answer is not many, and those who do generally don’t succeed as professional online poker players for any meaningful length of time. Even if you have done all of the above, you should at least give playing for a living a trial run, so you have experience of how to play online poker professionally. Take a week’s holiday from your job and spend the next five working days doing nothing but playing poker (at least you’ll be getting paid even if you have a bad week!). You may surprise yourself at how difficult it is to motivate yourself to play poker non-stop for a week. Or how after four hours grinding you suddenly lose all concentration. Or how after losing 15 buy-ins during the first three days you no longer want to get out of bed at 7:00 a.m.
It’s best to find out you’re not cut out for the life of a poker pro before you take the plunge into playing for a living. You haven’t gone through all the previous steps but still think you know how to be an online poker pro. That’s fine, but do you have a bankroll and your other finances in order? 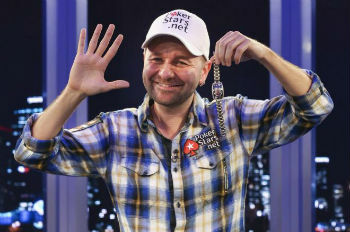 Most poker pros like to have at least six months’ worth of life expenses tucked away in a separate bank account in case things go pear-shaped. Dipping into your poker bankroll to cover your bills is a big no-no. Your bankroll should be larger than a recreational player would have because you never want to drop down in stakes. Doing so, dropping down that is, makes it harder to reach your monetary goals — much harder. 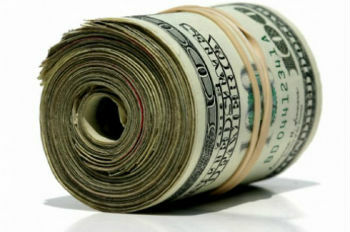 It’s better to be a bankroll nit than it is going broke. Professional poker players often cite the freedom it gives them for playing for a living, but that’s not to say you shouldn’t have a professional attitude towards the job. Some of the best poker players in the world are extremely disciplined and in their approach every single day. You wouldn’t rock up to work and put your feet on the desk or lounge around on the sofa with your laptop, so don’t do it as a poker pro. How to become a professional poker player? Starting acting like one, a professional that is.